Published on 9 July 2010. Back in December 2008, I was using a Nokia 6110 Navigator, and felt I needed an upgrade to something a little more modern and useful – so I started looking. I decided that I needed a true smartphone, and felt that I probably wanted something on the Vodafone network as I knew them and liked them. That ruled the iPhone out. But I’d decided I didn’t really want one of those anyway – I wasn’t entirely sold on the idea of a touch screen, and heck, this was a phone that couldn’t handle MMS or cut-and-paste. In many ways, it would be a downgrade. However, I was attracted by the iPhone’s big screen… and also by the idea of a BlackBerry, which I’d heard were ‘rock solid’ for email – and email was one of the big things I wanted my new phone to do better. So I looked at the newly released BlackBerry Storm, and quickly came to love it. I’d read all the negative reviews, but playing with it repeatedly in-store reassured me that it was right for me. The ‘click’ of the screen helped me to overcome my fears about using a touchscreen, and the reputation for rock-solid email convinced me further. In March 2009, as I blogged at the time, I upgraded. And I loved it. It connected with most of my email accounts out of the box (with the exception of my NHSmail account, which I never anticipated it connecting to), and it worked exactly as I wanted it to. The SurePress screen was a massive hit. The battery life wasn’t great, but I’d planned for that and bought a charging dock to keep next to my bed, and used the phone as my alarm clock. The perfect solution. But over the next 12 months, things began to niggle me. The Storm crashed quite regularly – perhaps once a day, a battery-pull would be necessary to reboot the device to get it working again. And rebooting a Storm is not exactly an instantaneous process. Syncing the phone over-the-air worked brilliantly for my Calendar and Contacts, but when I wanted to connect to my PC to transfer photos from the device, it was more than a little laborious. 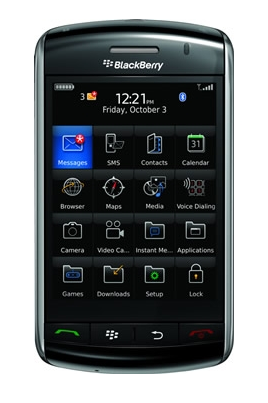 As time went on, I simply became more and more frustrated with the device, and had my mind set on a high-end QWERTY BlackBerry as my next phone of choice. But then, I discovered Mac. I bought my MacBook Pro, and started playing with the iPhones in the Apple Store. I discovered that my previous complaints about the iPhone had largely been fixed, and that typing on a touch-screen was actually quite easy. The seamless syncing between my new MacBook and the iPhone also seemed attractive. The seeds were inevitably planted. Whilst particularly frustrated with my Storm one day, I vented my anger through twitter, citing my frustration with the Storm and desire for an iPhone. Having seen my Tweet, in a show of exemplary customer service, Vodafone called me, and within the week I had a shiny new iPhone 3GS (and, as it happens, Vodafone also reduced my monthly contract cost). And, much like the switch from PC to Mac, it wasn’t until I started using it that I realised what I had been missing. The iPhone just works in a way that the BlackBerry didn’t. As per the comment on my previous post, the iPhone is more transparent to the task than the BlackBerry could ever hope to have been. The App Store makes the iPhone sing in a way that the App World could never do for the BlackBerry. The App Store experience is seamless, the App World experience, well, isn’t, to say the least. And, perhaps most surprisingly, since the release of iOS4, the iPhone connects to all of my email accounts – including NHSmail – without a hitch. Surprisingly, I think the iPhone has actually surpassed the BlackBerry for email solidity. The MacBook syncing is as straight-forward as I’d hoped, and typing is as easy as it seemed in the shop. And I’ve never had to perform any equivalent to the constant battery-pulls I had to endure with the Storm. Once again, Apple has won me over simply through offering the better user experience. I can’t quite say that I don’t miss anything from the Storm, but there is only one thing that I miss – the little notification LED on the top of the device. But then, I’d had to hack that with BeBuzz to make it useful to me. All-in-all, there’s no question in my mind – I prefer the iPhone. Also, Vodafone has amazed me through their exceptional level of customer service – a level of service which has improved immeasurably from a couple of years ago to become truly First Class. I was impressed when they upgraded me to the Storm, but this time even more so – picking up on a single tweet and responding to it in such a supra-satisfactory way is truly impressive of any company, and has certainly guaranteed my custom for many more years to come. This 1,422nd post was filed under: Reviews, Technology, Apple, Blackberry, iPhone, Nokia, RIM, Vodafone. Comment posted at 02:47 on 24th July 2010. In reading your blog I saw that you can use NHSmail within your main Mail app on your iPhone, I have been struggling to do this and was wondering if you could help me. Once I have clicked ‘Add Account’ in settings I am not too sure which account I want to be setting up (it is a .nhs.uk) account. I would be very, very grateful if you could help me! Comment posted at 19:05 on 25th July 2010. If you mean a http://www.nhs.net account, then you need to select “Exchange” and the settings should be automatically detected. If you have an NHS account with a specific Trust ending .nhs.uk, then every Trust is different, and you’d have to ask your IT department. Comment posted at 17:59 on 20th August 2010. Apple is a great company, that has an outstanding corporate history. 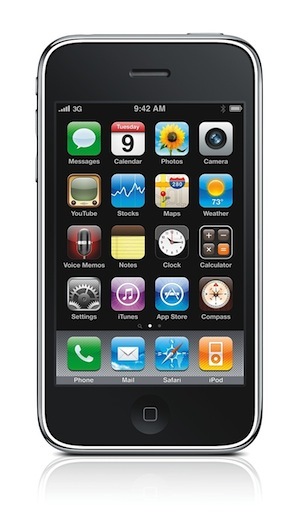 Though their Iphone4G has made errors, they have undertaken actions that keep their valuable customers intact. Iphone is better, because the brand is better. Comment posted at 04:08 on 3rd January 2012. Last week I retired my Blackberry Bold, removed myself from the Blackberry Enterprise Server, and began using an iPhone 4S as my mobile.